Last month, Texas voters cast their ballots and made a decisive choice: They supported the candidate from Vermont. No, not Sen. Bernie Sanders, who lost Texas' Democratic primary to Hillary Clinton. The Vermonter who won a recent election in the Lone Star State is Winooski author Laban Carrick Hill. He received the Texas Bluebonnet Award for his 2013 children's picture book When the Beat Was Born: DJ Kool Herc and the Creation of Hip Hop. Granted by the Texas Library Association, the prize comes with a reward that would delight any author: the guaranteed purchase of 10,000 copies of the book, which will be distributed to school libraries across the state. More than 150,000 Texas schoolchildren voted in this year's election, each of them casting a vote for their single favorite book from a list of 20. The award committee had winnowed that list down from more than 800 submissions, said committee coordinator Mary Jo Humphreys. To qualify for the prize, books had to have been published in the past three years, written and illustrated by U.S. citizens and intended for readers in the third through sixth grades. Students had to read at least five of the books on the short list before voting. When the Beat Was Born is a mini-biography of Clive Campbell, better known as Kool Herc, the Jamaican American DJ often credited with inventing hip-hop music. Hill's clear and vivid prose blends with Theodore Taylor III's expressive illustrations to tell a kid-friendly version of the birth of hip-hop culture. The book found favor with Texas schoolkids, earning 2,138 more votes than its closest competitor. "I was stunned," said Hill of winning the prize. "I'm thrilled and surprised, because this book was actually very difficult to get published. 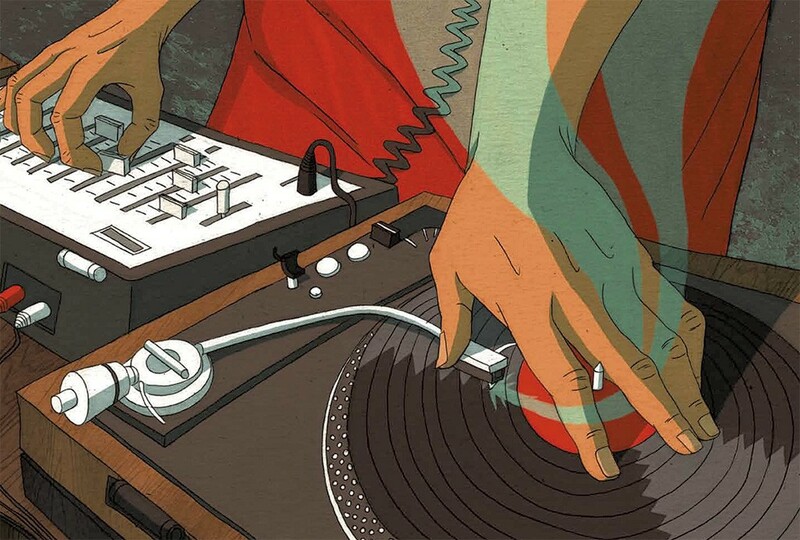 Nobody thought we could publish a book about hip-hop for children." 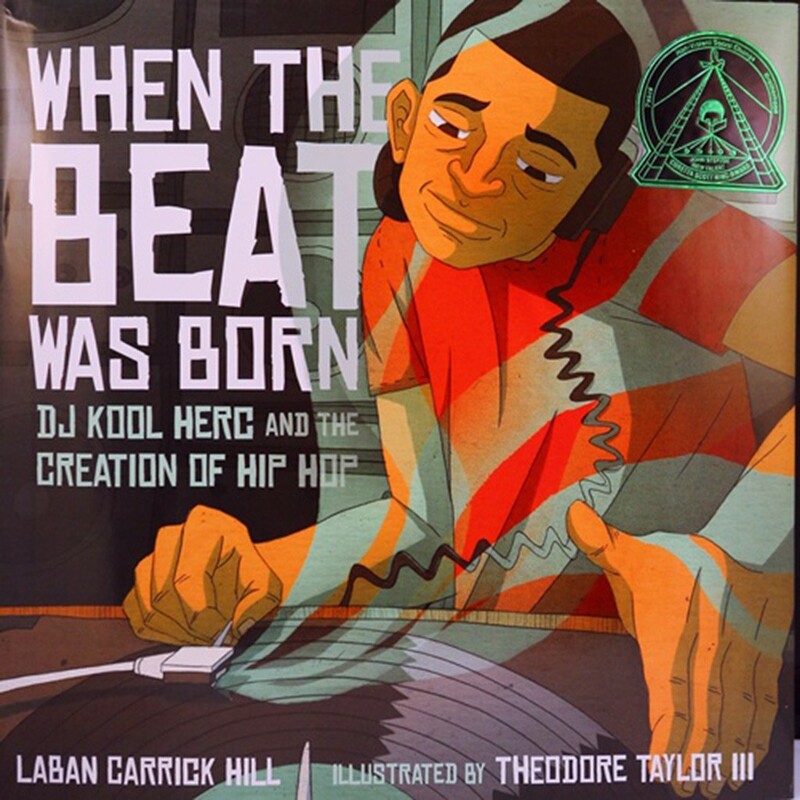 When the Beat Was Born: DJ Kool Herc and the Creation of Hip Hop, Roaring Brook Press, 32 pages. $17.99. Humphreys also expressed surprise, noting that nonfiction books like Hill's rarely win the annual award. "Books about dogs almost always win," she said with a laugh. Yet she also recognized a growing trend toward the depiction of racial diversity in children's books. "Everybody" — authors, publishers, librarians — "is really working toward an integrated America, and representing a literature that really represents our children," Humphreys said. The author is encouraged to note that his book was received with particular enthusiasm by many of Texas' Mexican American kids. "I think it resonated with them," Hill said. "DJ Kool Herc was an outsider, from Jamaica. It's an immigrant story; maybe that's what it was. Also, it's hip-hop, and what's not to like about hip-hop?" Hill lived in the suburbs of New York City as a young boy, then moved with his family to Memphis, Tenn. In the early 1980s, at 17, he returned to New York City "to join the punk-rock scene," as he put it. But his musical education extended beyond punk. Hill's return to the metropolis coincided with the birth of rap music and hip-hop culture, which he witnessed firsthand on the streets of the South Bronx. That experience stuck with him and would ultimately provide the narrative core of When the Beat Was Born. Hill has penned more than 20 books for young readers, many of which address head-on matters of race and multiculturalism. His 2010 book Dave the Potter: Artist, Poet, Slave, which received a Caldecott Honor award, uses verse to tell a story that encourages kids to think about racism, identity and historical memory. Later this month, Hill and Taylor will travel to Houston to attend the Texas Library Association Annual Conference. There, the book's creators will accept their awards and meet with a cross-section of Texas schoolchildren. Hill is looking forward to the trip, he said: "The eyes of Texas are upon me, and I'm really grateful."